Isaac Ray (1807-1881), �the father of American forensic psychiatry� proposed that there was a role for a forensic psychiatrist in a will contest, as the psychiatrist has relevant knowledge to analyze available information in determining competency. Testamentary Capacity - refers to an individual�s capacity to make a will. These evaluations are usually retrospective since the issue is most frequently raised after the testator�s death. Since wills are usually contested after the testators death, forensic evaluations to determine Testamentary Capacity require careful review of medical, psychiatric, nursing home, pharmacy, and other relevant records in an attempt to reconstruct the mental state of the testator at the time of making the will. Friends, family members, acquaintances, and individuals who interacted with the testator around the time of making the will should be interviewed if available. A testator with addiction to drugs or alcohol, if in a �lucid interval,� does not generally lack testamentary capacity. However, chronic use of drugs or alcohol may result in medical and psychiatric conditions that can impact a testator�s mental state or make him/her susceptible to undue influence. Undue Influence � refers to manipulation, deception, intimidation or coercion, made by designing individuals, resulting in impairment of the ability of the testator to make free choices in distribution of the estate in the will. In determining if influence was undue, the evaluator should distinguish between encouragements of a relative or a friend for a testator to remember him or her in his will, from deceptive, manipulative and coercive actions. Undue Influence can result from actions by designing individuals (coercion, manipulation, deception, compulsion, intimidation, etc.) or be secondary to a psychotic process (such as delusions) affecting the testator�s free will in making decisions. A presumption of Undue Influence usually arises when the beneficiary had actively participated in the preparation and execution of the will and had disproportionately benefited from it. List of reference materials and of interviews utilized in the preparation of the report. Review of collateral information reconstructing the mental state of the testator at the time of signing the will and the time proximate to signing the will. These usually include nursing home records, witness accounts, notes and discharge summaries from recent hospitalizations, legal documents and transcripts, accounts of communications of the testator with others, etc. Correlation of the testator's mental state and behavior with legal definitions for Testamentary Capacity and Undue Influence in a given jurisdiction. The party making the referral is responsible for the provision of the necessary collateral information for the preparation of the report. Disclaimer: For forensic psychiatric evaluations referrals only by attorneys, courts, insurance companies and employers. The evaluator retains the right to refuse to become involved in a case for undisclosed reasons. Please do not send any confidential information until professional relationship has been established. This summary merely provides basic framework, and does not intend to cover all the specifics and nuances of the evaluation process and report preparation. I make no claims, promises or guarantees about the completeness or adequacy of the information contained in or linked to this website and its associated sites. Nothing on this site constitutes legal or medical advice. If you require legal advice or service, please contact an attorney. Pogos H. Voskanian, MD, specializes in applications of clinical psychiatry to legal issues in civil and criminal matters at the interface of Psychiatry and the Law. He has served as an evaluator or expert witness in about three hundred cases in State and Federal courts. 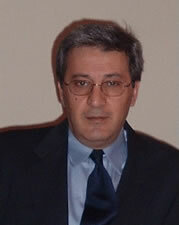 See Dr. Voskanian's Profile on Experts.com.